When that dreaded audit letter shows up most brokers and lenders instinctively reach out to the regulator and try to start a dialog about his audit objectives. Is this a good thing? I will give you my opinion at the bottom of this post. It’s always good to know why you were selected for an audit. There are three ways you are usually selected. First way: you have a customer complaint hanging in the wind and the regulator wants to investigate to determine the merit of the complaint and how robust your business practices are, or are not. Second, in the absence of a consumer complaint, an audit could be triggered by a suspicious activity report. A suspicious activity report (“SAR”) can be filed by any qualified industry participant who feels there is probable cause that you or your company may be doing something improper. “May” is the big word here, because this process gets very subjective. It is supposed to be taken seriously but I have seen it used improperly by parties who think that filing SARS makes them somehow look more compliant or concerned with proper operations. Finally, you can be selected randomly for an audit. So here’s the deal. One way or the other, the auditors are likely coming. Let’s hope you are selected randomly. 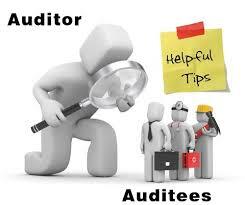 A random audit will follow the agency audit checklists and will be more friendly and personable. However, if there was a SAR filed – and there is really no such thing as a “wrongful SAR” because the government impliedly encourages reporting which means literally anyone wanting to impress their boss can recommend a SAR – you will be affected by the filing for years and approached with suspicion. If you think a SAR triggered your audit, be careful how you respond to the regulator. In fact, it is smart to have your attorney respond for you. Now, if the audit was triggered by a consumer complaint you can usually tell pretty quickly. It is revealed by the auditor if asked. Your response should be to show you have a good CFPB compliant consumer complaint policy with a designated executive and a proper log book. This will show the auditor how your consumer complaints are handled and what the resolution was. This builds credibility. However here is my best advice. For any audit notice call your outside compliance specialist right away. Appoint them your CFPB or AGENCY liaison. Let them do the “asking” for you. ← So, can you talk amongst yourselves about what happened during your audit? You will be shocked at this opinion.